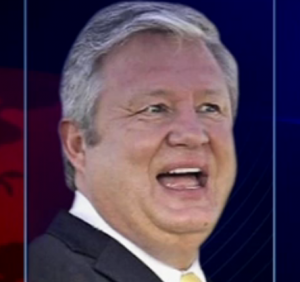 Burlington, Vt – Truth Wins Out expressed surprise today that Marcus Bachmann personally called the organization demanding $150 for cancelled July sessions of “ex-gay” therapy with a counselor at his office. He threatened that if TWO did not pay him by Friday he would turn the phony bill over to a collection agency. In July, Truth Wins Out went undercover and exposed Bachmann & Associates for practicing a form of discredited “pray away the gay” therapy. The revelation rocked Michele Bachmann’s presidential campaign. After TWO’s John Becker, who went undercover, had enough videotape evidence to prove that “ex-gay” therapy occurred at Bachmann’s clinic, he called the clinic and cancelled his remaining appointments. Despite widespread circulation of TWO’s video footage, Marcus denied the therapy had taken place. Becker was surprised when he received a voicemail from Bachmann on Monday demanding payment for cancelled sessions which never took place. On Tuesday, he returned Bachmann’s call and spoke with him for nearly seven minutes in the presence of a reporter from the local ABC/FO X affiliate in Burlington. The video of the tense exchange can be viewed at Truth Wins Out’s website.